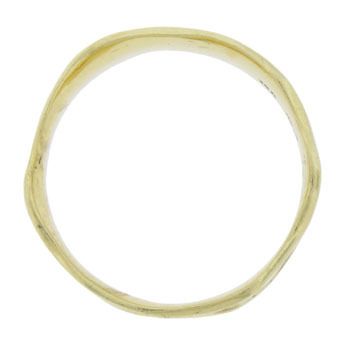 This Neta Wolte 14K green gold wedding band is adorned with abstract organic engraving. 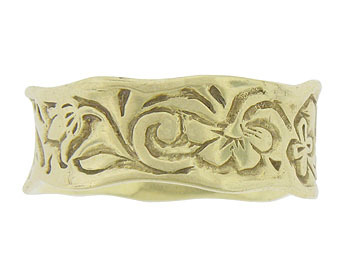 The edges of the ring are finished with a subtle scallop design. 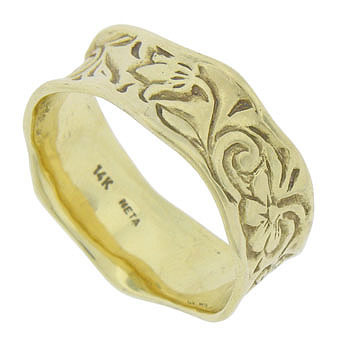 The band measures 7.74 mm in width. Size 7. We cannot re-size. Circa 1990.